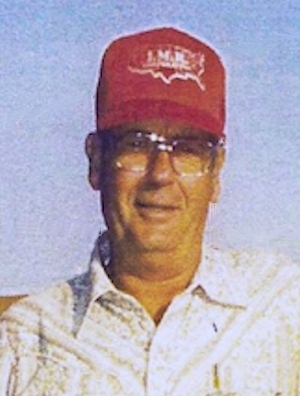 Obituary – Brand, James Edgar « Perry High School Alumni Association, Inc.
James Edgar Brand, 78, was born March 9, 1936 in Perry, Oklahoma to Leo Everett and Margaret J. (Wagner) Brand. He passed from this life on Saturday, March 29, 2014 at Green Valley Nursing Home in Perry, Oklahoma. 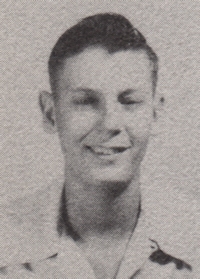 Jim graduated from Perry High School class 1954 and went on to attend at Oklahoma A&M. On May 25, 1957, Jim married Pat Kay at Sacred Heart Catholic Church in Billings, Oklahoma and to this union three children were born. Jim worked for over 20 years as a custom harvester. He then went on to work for the City of Billings as the city manager for 12 years and he also served as mayor for a short time. Jim was a member of the Sacred Heart Catholic Church of Billings, Oklahoma. He also was a member of the Billings Lions Club, a volunteer at Billings Fire Department, and served on the city board. He loved to work, especially outside. He generally could be found tinkering with some sort of mechanical equipment try to get it to work and usually was able to do so. Jim also enjoyed hunting and loved taking “Sis” his bird dog with him. Jim is survived by his wife of 56 years, Pat Brand of the Billings home; two sons, James L. Brand and his partner, John Stuemky of Oklahoma City, Oklahoma and Tim Brand and his wife, Rhonda K. of Perry, Oklahoma; two sisters, Linda Boyd of Ponca City, Oklahoma and Ellen Etheredge and her husband, Johnny of Georgetown, Texas; two granddaughters, Timory K. Kennedy and her husband (James) and Taryn Taylor and her husband, Bryan; and three great-grandchildren, Alley K. Kennedy, Jett James Kennedy, and Gentry Allyssa Taylor. He was preceded in death by his parents; one daughter, Lori Ann Brand; one sister, Judy Merritt; and his father-in-law and mother-in-law, Wilbur A. “Dib” and Hazel Lee Kay. Visitation is scheduled for 8:00 am to 8:00 pm Monday, March 31, 2014 and 8:00 am to 4:00 pm Tuesday, April 1, 2014 at Dugger Funeral Home in Billings, Oklahoma. A rosary services will be 6pm, Tuesday, April 1, 2014 at Sacred Heart Catholic Church in Billings, OK. Funeral Mass will be held at 10:00 am, Wednesday, April 2, 2014 at St. Rose of Lima Catholic Church in Perry, Oklahoma with Father Mario Pulugujju officiating. Interment will follow in St. Rose Catholic Cemetery. Arrangements are under the care of Dugger Funeral Home in Billings, Oklahoma.